Last season HTH League in Denmark was won by København Håndbold, which is directly qualified to the CL alongside with Odense HC, which finished the championship on the second place. In the EHF Cup will participate Viborg HK (1st qualification round), Herning-Ikast Håndbold (earlier FC Midtjylland) and Nykøbing Falster Håndbold – in the second qualification round. Team Esbjerg joins EHF Cup in the third qualification round. København Håndbold looks stronger and better covered on every position as the year before when they managed to win the Danish League. 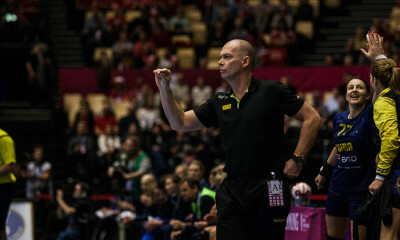 Swedish and Norwegian players with long experience from CL-matches will strengthen the team (Sando, Mørk or Blohm) which will fight in the groups of Champions League. The team of Jan Pytlick looks strong on the paper, with two exceptional goalkeepers, Danish, Brazilian, Norwegian and Dutch national team players, and well covered on every position. Champions League will be a big challenge for them, entering the competition for the first time. Randers HK are not European Cup partiicpants but they made some interesting transfers: German veteran playmaker Nina Müller (Bietigheim) moved back to Denmark, the same did Swesish Jamina Roberts (ÉRD), Julia Eriksson (IK Savehof) and Norwegian Celine Sivertsen (Tertnes Bergen)-right back. Clara Monti Danielson (Team Esbjerg/SWE) – lineplayer, Mari Molid (Larvik HK/NOR) – leftback and Daniela Gustin( Bietigheim/SWE) – right wing left the team. At the same time with Nina Müller, another German player moved back to Denmark: Susan Müller joined Silkeborg-VOEL on the right back position for one year. As we can see, the tendency shows that in the Danish League we can mostly find Swedish, Norwegian and Dutch foreign players. There are also few players from Germany, Brazil, and Japan. Summarizing the transfer movements in Denmark we can conclude that Veronica Kristiansen (Győri ETO KC) is the biggest loss for the Danish League, regardless of which team we are talking about. 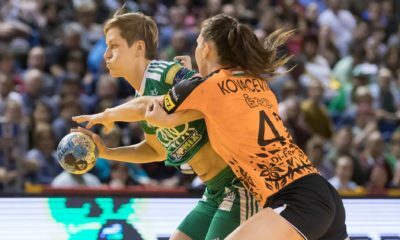 Some big profiles like Louise Svalastog, Lærke Møller, Pearl Van der Wissel (NED), Ida Bjørndalen-Karlsson (NOR), Maibritt Kviesgaard retired and some controversial players like Nina Muller and Susan Muller returned to the Danish League from Germany. Beside this many Norwegian players moved to Denmark, among them young talented prospects also like Moa Høgdahl, Kristine Breistøl or Ingvild Bakkerud. Interesting to mention that Japanese national team players are also willing to move to Denmark in order to develop their play.